As soon as I blabbed to you about my time in the markets and various schools, a few weeks ago I was moved – or upgraded, but I feel bad saying that – to my very own classroom! 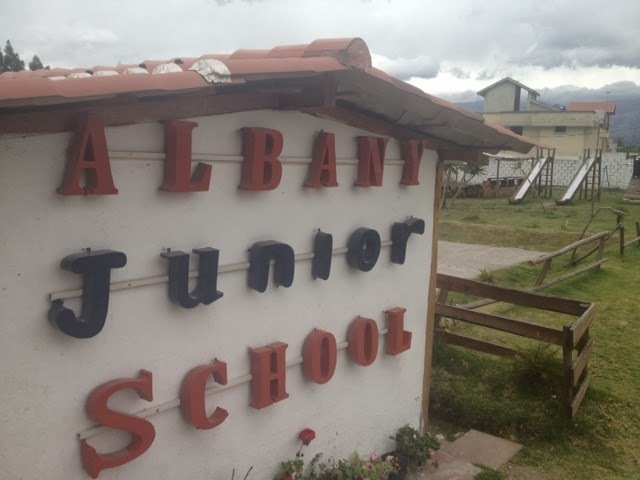 My last three weeks here in Ecuador are being spent teaching English to 3rd through 7th graders. It is interesting how the set up is because the teachers move from classroom to classroom instead of the students, and yes I am working with a Spanish-speaking teacher. But I am actually teaching, learning, and interacting with children of all different ages, getting to make my own lessons and stand in front of the class and teach proper grammar and pronunciation. It is a great learning experience that I know I wouldn’t get as quickly in the U.S. They are so incredibly nice at my school, and act like I am some esteemed teacher. Do they know I am only a volunteer? I am not going to tell them my only experience truly teaching is a brief stint as a tutor at the public library. Anyway, Everyday at 1 o’clock they have lunch brought in for only me. Just to say thank you, and to make sure I am properly fueled for my personal Spanish classes an hour later. 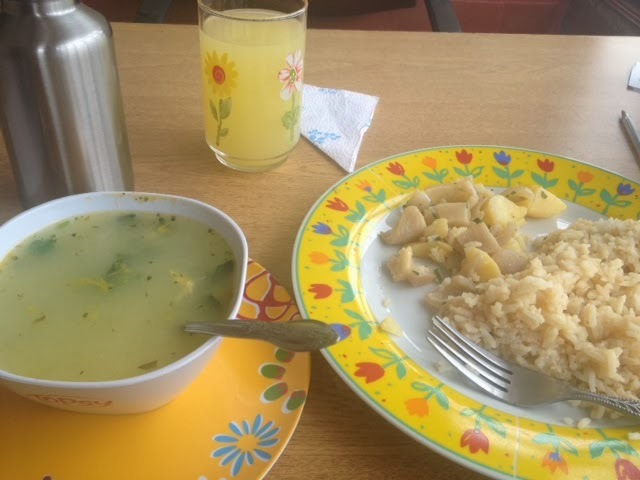 This day in particular was soup, some meat/potato thing I have no idea what it was and some different kind of rice. Not white, mind you, which is rare. I sit and eat it in the principals office. It is so nice slash so awkward. To top it off, I also get to take the school bus to and from work. 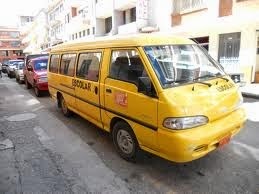 And by bus I mean a van with “ESCOLAR” on the side. Very serious stuff. Every morning when I get picked up outside my house, all 20 students inside yell “Hola teacher Dani!” and give me kisses on the check. Warms my heart every time. It’s too bad I am not getting paid to do this stuff, because I really love it! Exhausting yes, but truly a great experience.